You are currently browsing the tag archive for the ‘action’ tag. We all know that kid. I suspect that we’ve all been that kid. What Do You Do When the Lift is Broken? Wouldn’t it be great if there was a lift that took you straight to the top? Where all that you had to do in life was step in, press a button and you arrive at your destination in a matter of seconds? How much easier would it be for our faith, finances, careers, relationships, health and parenting if the elevator did all of the work, while we just stood there listening to nice relaxing music, until the door opened and we stepped out on the top floor, ready to enjoy the spoils of success? It would be great, but the lift is broken. The Three Stages of Volcanoes – Which One Describes You? The recent volcanic eruptions in Iceland and Chile have caused havoc with flights across the world, with ash and smoke being spewed into the atmosphere in an impressive display of power. 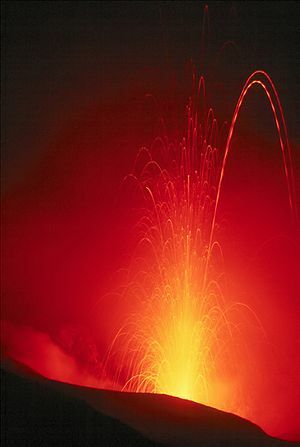 According to volcanologists, volcanoes have three distinct stages. These phases can also describe our current state. So what are the three stages of volcanoes and which one are you? Cows run away from the storm while the buffalo charges toward it – and gets through it quicker. 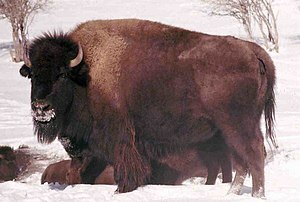 Whenever I’m confronted with a tough challenge, I do not prolong the torment, I become the buffalo. It’s a great image isn’t it? A herd of bison steadfastly and slowly progressing in the face of a blizzard rather than running in the other direction. When confronted with a problem, do you try to avoid it, or do you put your head down and find a way through? When you’re a spectator, you get to yell at the referee, the other team and even your own players if you want to. When you’re a spectator, you get to eat a hot dog or pie while expecting others to maintain their discipline to perform at an elite level. When you’re a spectator you can write angry online diatribes about how useless your least favourite player is. When you’re a spectator you can question the wisdom of trading one of your favourite players. When you’re a spectator, you never lose, but you never win either. You get to sing your team’s song, but only because of what others have done. Most people have an alarm clock that has a snooze button. It enables us to set our alarm for a certain time, but keep pressing the button until we finally find the energy to roll out of bed half an hour later. If you’re like most people, you can find the button in the dark, without even looking, to preserve your precious sleep-time. Our morning routine thus goes like this – call to action, delay, then finally go, sometimes when it’s too late or we’re under pressure to get ready on time. We see the snooze button as our little friend who protects us from facing the day, when in reality it’s a devious little device that gives us an excuse for delaying taking action and not taking full advantage of life’s opportunities. Unfortunately, pressing the snooze button isn’t confined to our morning routines. How often have we seen an opportunity to act, hesitated and then tried to do something, often when it’s too late? The mayfly is a unique type of insect. In its adult stage it feeds, flies around, finds a mate, lays its eggs and then dies. Some species of mayfly have an adult stage that lasts as little as 30 minutes, yet it still manages to fit everything in without running out of time. It doesn’t matter how impatient we are, we all have to wait sometimes. This can happen whether we’re waiting for a career or business opportunity, to find love or for an experience of God. There are times when we’ve done the work (or at least think that we have) and the only thing that we can do is wait. The day was overcast and foggy, so the mother was impatient and tempted to turn the car around, but her daughter seemed so excited that she couldn’t bring herself to do it. “It’s alright mother. You’ll never forgive yourself if you miss this experience,” her daughter assured her. They walked down the path and turned a corner to be confronted by the most breath-taking sight imaginable. Writers and bloggers feel good when you buy their book or click on their website. They like it even more when you open up the book and read the first chapter or peruse a couple of posts. They start to feel as though they have achieved something when you finish the book or read everything on their blog. They get excited when you pass the book on to someone else, buy it as a gift, refer a friend to their work, subscribe to their blog or send their link around to your contacts.